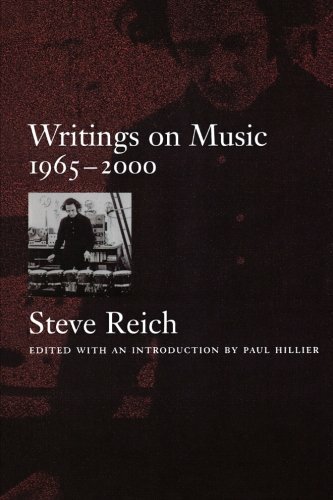 Amazon.com description: Product Description: In the mid-1960s, Steve Reich radically renewed the musical landscape with a back-to-basics sound that came to be called Minimalism. These early works, characterized by a relentless pulse and static harmony, focused single-mindedly on the process of gradual rhythmic change. Throughout his career, Reich has continued to reinvigorate the music world, drawing from a wide array of classical, popular, sacred, and non-western idioms. His works reflect the steady evolution of an original musical mind. About: In the mid-1960s, Steve Reich radically renewed the musical landscape with a back-to-basics sound that came to be called Minimalism.